Card Text: 1G: You may return another creature you control to its owner's hand. If you do, Temur Sabertooth gains indestructible until end of turn. Oracle Text: 1G: You may return another creature you control to its owner's hand. 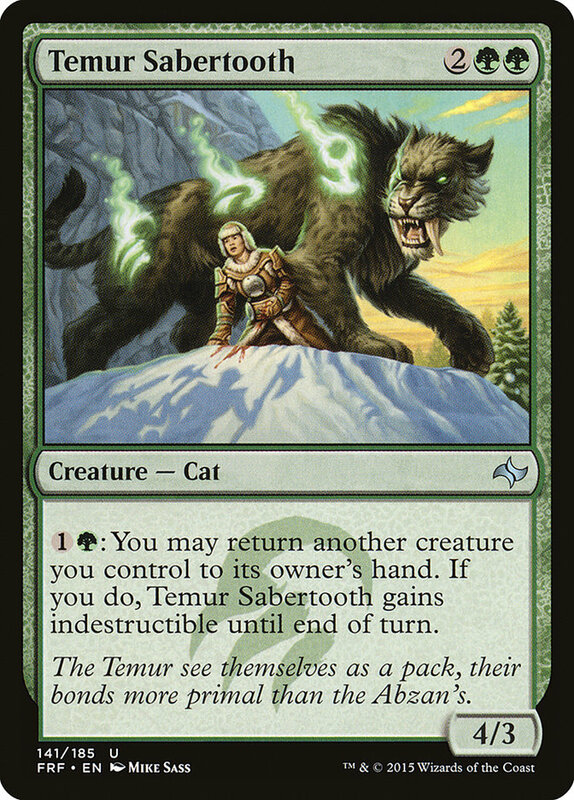 If you do, Temur Sabertooth gains indestructible until end of turn. Flavor Text: The Temur see themselves as a pack, their bonds more primal than the Abzan's.